Nik Software has released Snapseed Desktop for Windows. 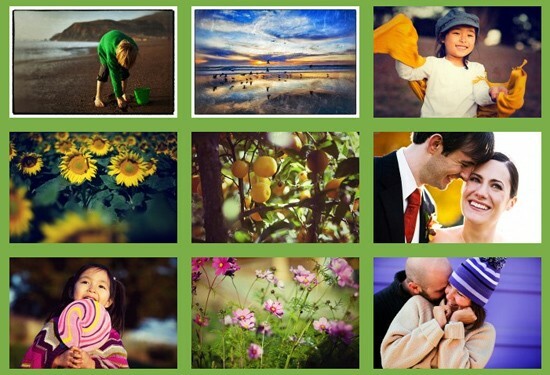 Snapseed is an image editing and sharing application originally designed for the Apple iPad. “Bringing the Snapseed experience to customers on their computer was an overwhelming top request from our mobile app users,” said Michael J. Slater, President and CEO of Nik Software. “With an estimated one trillion-plus photos stored on computers, mobile devices, and in the cloud, people everywhere are tapping the power of photo editing and enhancement software to tweak, tune, and share their photos.” Compatible with Windows XP and later, the newest edition of Snapseed is available for $19.99 or the equivalent in other currencies both from Nik Software directly or through the Intel AppUp store. Barcelona, Spain (World Mobile Congress) — February 27, 2012 — Leading photography software developer Nik Software (www.niksoftware.com) today released Snapseed® Desktop for Windows. Snapseed is an innovative photo enhancement and sharing app with a powerful suite of imaging filters and tools for anyone, anywhere to transform any image into an extraordinary photo. This new version of Snapseed combines Nik Software’s professional photography tools with its award-winning interface to deliver a powerful new photography app to PC users. To learn more, watch videos, and to purchase Snapseed, visit www.snapseed.com or the Intel AppUp store. Anyone can create amazing photos with Snapseed by using its innovative filters and tools, including the company’s revolutionary U Point technology which enables precise, selective enhancements to be made to any area of a photo. Snapseed is fast and powerful, combining filters, textures, and other enhancements, in real-time. One-click adjustments quickly and automatically improve photos. Filters like Grunge, Vintage, Tilt & Shift, and Drama give photos a new look. Snapseed is a new generation of photography software that inspires everyone to enjoy photography. High quality results are now fast, easy, and fun. Snapseed can be used to enhance, edit, email, and share photos via social networks in just a few seconds. Snapseed is compatible with Windows XP and later. Snapseed is available for $19.99 or the equivalent in other currencies both from Nik Software directly or through the Intel AppUp store. For videos, screenshots, and other detailed information, download the Snapseed Desktop press kit at www.snapseed.com/press.